Here at The Touring Network we represent the voices of over 300 (mostly volunteer) promoters and 90 venues – who between them programme over 900 events each year, which you can read all about here. They are our promoter members, and really, they ARE the Network. We’re here to support and inspire them to programme live performance events in their communities across our Highlands and Islands, and encourage them to work together to book performers onto tours, rather than one-off events. Our organisation’s model exists entirely to really cherish the touring model… everyone knows, the more tour dates the better, right? For the performers and their campaign, for all the rehearsing and van and roadie booking efforts, for promoting the shows to story-hungry-press, for our delicate environment… the list goes on. 1) We at The Touring Network are not bookers. 2) And we do not programme. We leave all that to our promoters who are all proudly independent and know best about what their audiences do and do not like! Although we can’t book you onto a tour – we can introduce you to 100’s of others who could! The Touring Network is here as a meeting point for professional performers and rural promoters/venues in our region and essentially we help to connect the dots between some of the most beautiful wee venues and you. So, to help us to better connect all these dots, we are very excited to announce that we have just launched a new membership tier for performers! We want to help you to understand how rural touring, and in particular touring through our Network, works and hope that this will lead to you building lasting relationships with the promoters in the Highlands & Islands. From past experience, we know that those performers who take the time to really get to know the promoters and their communities, go on to tour successfully. You can find more details about these benefits here … and if it’s of interest, sign-up to become one of the first performer members of The Touring Network! 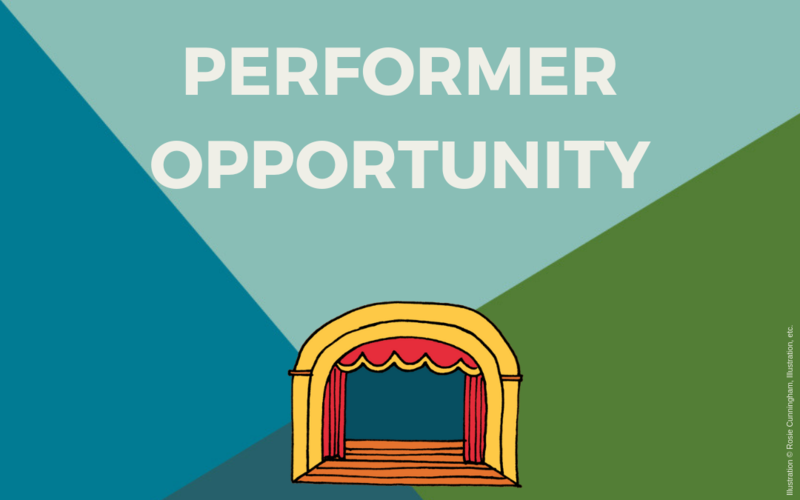 Don’t worry if you’re not ready to become a member of The Touring Network yet… any performer looking to tour to venues in Scotland (and Ireland) can register with our friends over at Tourbook to set up a free performer and tour page. To keep up to date with news from us here at The Touring Network, sign up to our quarterly newsletter. Head here to find out how. 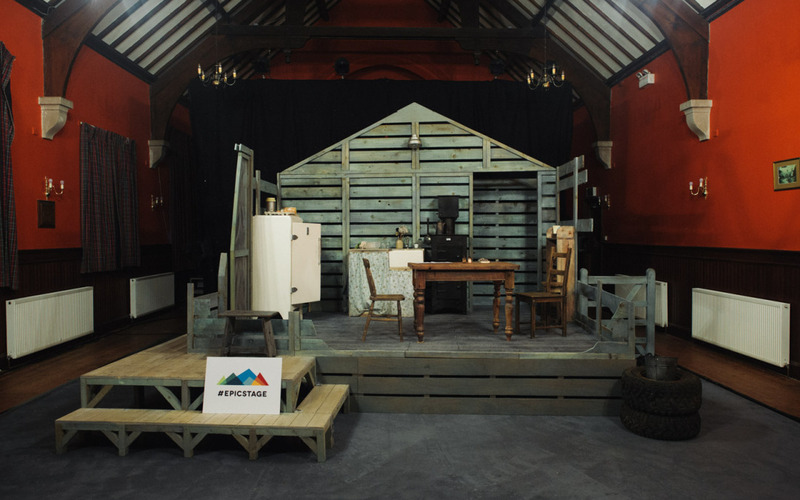 This photo was taken during The Touring Network’s 2014 Epic Stage campaign and features Mull Theatre’s touring production of The Drawer Boy by Micheal Healey at Carnegie Hall, Clashmore. Designed by Alicia Hendrick.